This is probably the most fake country on my travel list so far, yet it was one of my earliest conquests as a long term whackpacker. I first visited Donkey Kong Country (often shortened to DKC for immigration reasons) back in 1994 on the Super Nintendo. I was able to visit it without leaving my living room – a novelty when you travel, believe me. I didn’t even need a backpack or a visa but I did need to respect the situation within the nation in order to successfully backpack through every level of the country. Although the status of the DKC has been reviewed in recent times, realistically the only people that class it as an actual country are Nintendo. It is unlikely to ever gain independence. 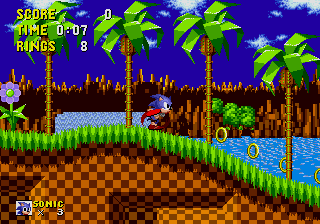 Rivals Sega started a war at one point, when they were controlled by Sonic the Hedgehog, however the blood shed was merely on a computer screen and the borders remained unchanged. 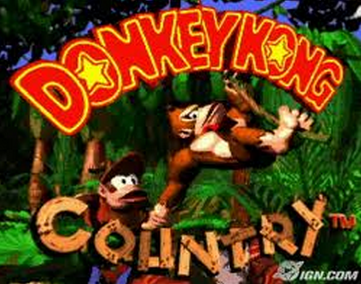 Places to visit in Donkey Kong Country – It’s a country with differing levels, climates and challenges. There are also some cool hidden parts to the country and the country had various different regimes and empires, including Donkey Kong Country 2 and Donkey Kong 64. While the normal levels provide travel thrills and adventure, the bonus levels are a great tip and you can pick up FREE bananas here. 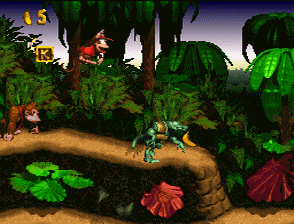 Visas – No visas are required to visit Donkey Kong Country, however you need to own a computer or console in order to gain access to the country. If your friend owns more than one joypad, you can get guest access (almost like a ‘transit visa’). Once you have completed all the levels, you get permanent access to all parts of the country (similar to gaining ‘permanent residency’). Population – It has been estimated that the majority of the population of Donkey Kong Country is made up of various species of monkeys. This adds to the confusion of the use of the word “Donkey” in it’s title, something the locals remain tight lipped about. Dangers – Visits to Donkey Kong Country come with a risk. Visitors have been known to die in incidents such as falling off rope bridges and being crushed by barrels. There have even been reported mine cart crashes. There are wild rhinos and killer bees as well, so a Yellow Fever Certificate is recommended for all backpacking tourists. Currencies – Bananas and barrels are used instead of actual money on Donkey Kong Country. Transport – Mine carts are used in parts, but it’s largely backpackable on foot and by climbing trees. There is no international airport, but owners of the country, Nintendo have pledged that they will post it to anywhere in the world. Despite having backpacked through it and visited and completed every level within Donkey Kong Country, I didn’t include it on my countries visited list. However if I ever get to country 199 or 299 or even 499, and need an extra one to make me a real traveller and go for the big 200 or 300 or even 500, then I’ll add it in without shame. Great post Jonny, I love it. Not sure when I’ll get chance to revisit Donkey Kong Country but it certainly dates back to my earlier years. Amazing post Johnny, enjoyed reading about the fake country on your list. Just laughed when I saw the name for immigration purposes!